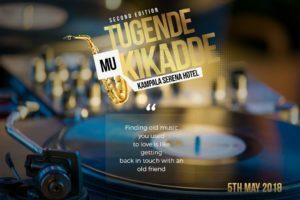 Sam and Sophie Gombya set to perform at the 2nd edition of Tugende mu kikadde. 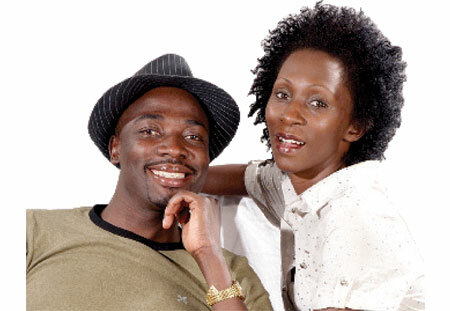 In early 2000s, the Ugandan Music industry was blessed with one of the most talented duo also husband and wife called Sam and Sophie Gombya which popularly were known as “Omulema ne Mukazi we” who released massive hit love songs that left Ugandans dancing. These included vocally and lyrically rich songs like gyangu gyendi, omuwumbo gwo mukwano, nkwesize, sebo omuko which is the most played song ever on introduction ceremonies in Uganda, ebuuba. Sophie Gombya is a sharp soprano singer who attended Nakivubo Blue primary school, Kawempe Muslim and later studied at Kibibi Secondary school. She later joined music and released several hit songs like spare tire written by her husband Sam Gombya, Nkwesize,mwenyumirizamu, Ngugumuka ekiro, salawo, Sosotola, Lugya lumu, Gyangu gyende most which feature Sam Gombya. Sophie later joined and contested as Councillor in Kampala and championed several campaigns in the society for example say no tobacco, Elimination of mothers of child transmission of HIV/AIDS. She said her long relationship with Sam is a reason of tight marking while talking to The Observer Newspaper. Like Sophie, Sam Gombya attended Nakivubo Blue primary school and later joined Seven Hills secondary school. 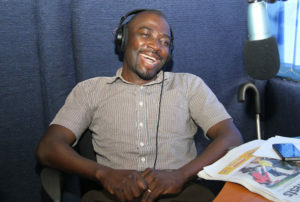 He worked as Radio presenter at Bukoto based Radio Simba and later joined Dembe Fm a company under Monitor Publications group of Companies till now. Besides that, Gombya is a renowned politician and was appointed as Deputy Mayor Central Urban Council by Mayor Charles Sserunjogi in 2016. He is a councilor representing persons with Disabilities in Kampala Central. And the latest reaching our desk indicates that Sam and Sophie Gombya will be performing at the 2nd edition of Tugende Mu kikadde vintage show that will happen on the 5th May 2018 at Serena Hotel. Sam and Sophie Gombya will join popular veteran singers like Chance Nalubega, Afrigo Band’s Joanita Kawalya, Moses Matovu, Eddie Yawe, Racheal Magoola and the talented Kadongo kamu living legend Lord Fred Ssebata. Entrance will be 100,000 shillings VIP and 3000,000 a VVIP table. Previous articleGravity Omutujju, Victor Kamenyo to release diss songs to challenge Feffe Bussi.